In May of 2018, representatives of Greater New Orleans Inc. and several national environmental groups took executives from the U.S. Chamber of Commerce—one of the most rabidly anti-environmental lobbying organizations in America—on an aerial tour of Louisiana‘s rapidly-expanding coastal restoration program. The goal was to communicate the link between those projects, job growth and the state’s economy. In other words, their restoration economy. The primary focus of the tour was on locations where coastal restoration projects are either planned, under way or just completed. With the state likely to be spending over $500 million annually on restoration projects over the next 15 years—mostly from BP oil spill penalties, plus other money it expects to receive for future hurricane and flooding protection projects—both industry and environmental groups say the potential for job growth is significant. The restoration work is also crucial to protecting the state’s existing economic assets. These include ports, petrochemical plants (the ones primarily responsible for the loss of coastal wetlands) and other industrial facilities. Greater New Orleans, Inc. is a regional economic development alliance serving the 10-parish region of Southeast Louisiana. Their is to serve as the catalyst for wealth creation. It does this by pursuing business development, by marketing the region and by improving regional business conditions through policy, workforce, and research initiatives. 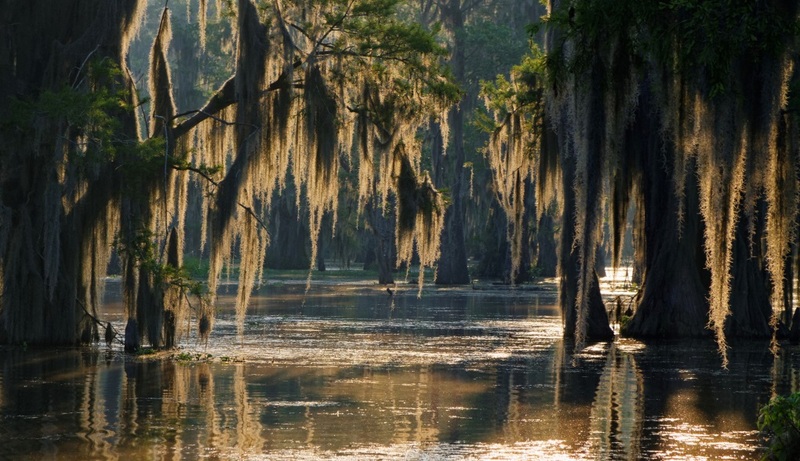 Photo of Louisiana bayou via Adobe Stock. See article by Mark Schleifstein in The Times-Picayune. See Greater New Orleans Inc. website.